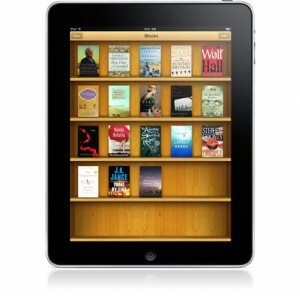 iPad owners will be able to grab classic ebooks from the vast Project Gutenberg library directly from the iBooks Store according to a new leak. According to AppAdvice, Apple will integrate the Project Gutenberg catalogue directly. That shouldn’t be too tricky since the iPad supports ePub files and PG offers the classics in its library in ePub, Mobipocket, HTML and also simple text. While Apple has already confirmed that the iBooks app would allow you to sync DRM-free ePub files from other sources to your iPad, plonking PG at the heart of the iBooks Store would obviously be far more convenient!! PG features great fistfuls of classic titles, including Alice’s Adventures In Wonderland and Pride & Prejudice. While the potential for stuffing your iPad with enough masses of titles from PG to fizzle your brain, there is still no firm date of exactly when in April the iPad will hit the UK and when the iBooks Store will follow it!